This low-profile casual sofa easily converts to a queen bed, making this piece a remarkable space-saving solution for outfitting your loft, apartment, or living room. 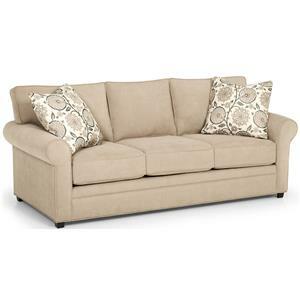 This sofa has a clean, polished look created by design elements from both traditional and modern design. 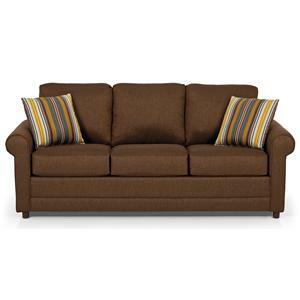 Adorned with rolled arms, square boxed-edge cushions, and welt cord trim, this piece has a understated appeal and soft, welcoming comfort. 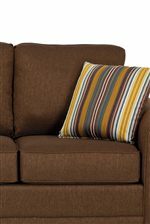 The loose back and seat cushions contain consistently supportive multi-layer reflex cushions, providing your sofa with plush support, and the queen bed is fully furnished with our Basic coil comfort mattress. 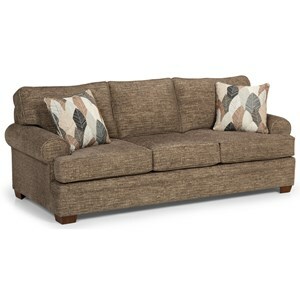 The 202 Transitional Queen Basic Sleeper Sofa with Rolled Arms by Sunset Home at Sadler's Home Furnishings in the Anchorage, Fairbanks, Sterling, Alaska area. Product availability may vary. Contact us for the most current availability on this product. Frame Construction Kiln-dried heavy duty 2X4 support rails for superior foundation strength, steel bolts stabilize the seat for additional support. Padding & Ergonomics Multi-Layer reflex cushions create luxurious comfort. Reflex cushions come standard, but for firmer cushions, upgrade to our HD High Density cushions. 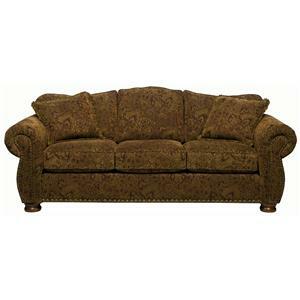 Warranty We provide a lifetime warranty on frame, cushions, fiber and springs. One-year warranty on fabric. 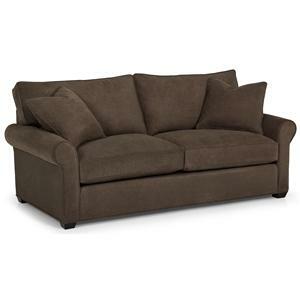 Stanton warrants the mechanisms in sleeper or sofa beds to be free from defects in materials and workmanship, for a period of five years from date of purchase. Improper handling, abuse or care of the unit will void the warranty. Never close the mechanism with sheets and/or blankets on the mattress. This trusted manufacturer is one of the Pacific Northwest's best, and offers quality furniture that equals or surpasses that of the big national brands. 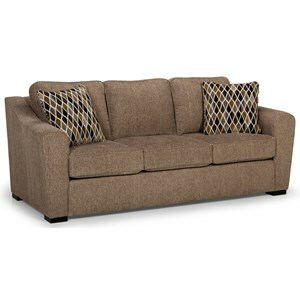 For a reliable sofa that you and your family will be able to enjoy for years to come, you've found your perfect match. 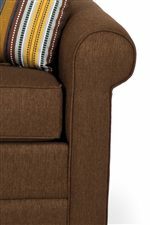 The 202 collection is a great option if you are looking for Transitional furniture in the Anchorage, Fairbanks, Sterling, Alaska area. 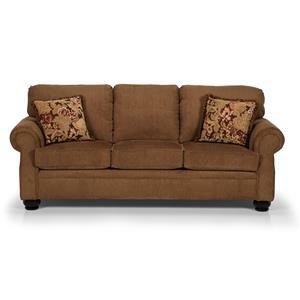 Browse other items in the 202 collection from Sadler's Home Furnishings in the Anchorage, Fairbanks, Sterling, Alaska area.